As part of its educational goal, MATRIX Press maintains an active print collection of works by visiting artists for classroom use, exhibitions and sales to allow us to continue to offer these types of experiences for students. 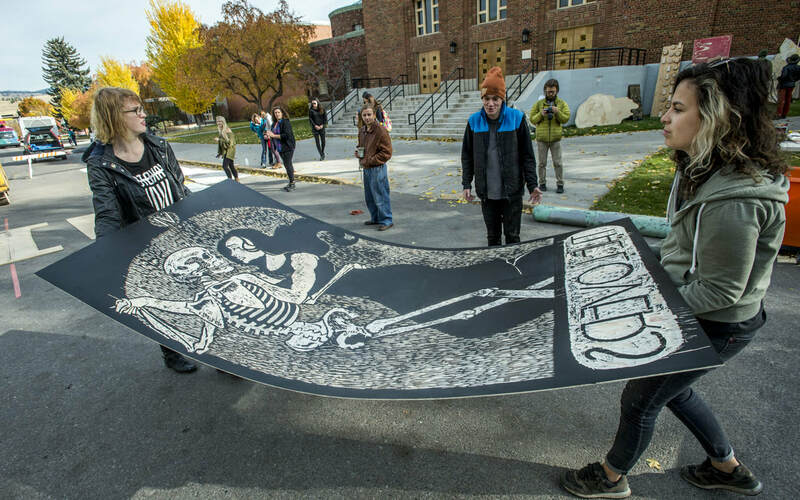 The Day of the Dead Steamroller Print Project started in 2000, as a means to get students, artists and the community to come together in a cooperative event to celebrate life, art and community. This was the first event in the country to combine the Day of the Dead celebration with Steamroller printing. Since then many more similar projects have sprung up. The large scale relief (woodcut) printing blocks are carved over the course of a month utilizing both traditional hand tools as well as electric carvers, saws and routers. Prints created during the day long print event are carried in Missoula's Annual Day of the Dead Parade held each November 2nd, which is now in it's 26nd year. Steamroller prints are also exhibited around town to further showcase these wonderful works and have also been exhibited the past three years at the Mission Cultural Center for Latino Arts in San Francisco, California. Since it's initial year, the project has grown to not only include students from the university but also area students from local elementary schools, middle schools and high schools, along with students from neighboring institutions and artists from the community. 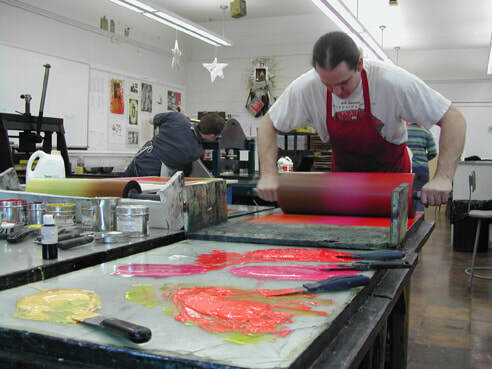 The printmaking division in the School of Art focuses on the creation of prints as an original form of artistic expression. 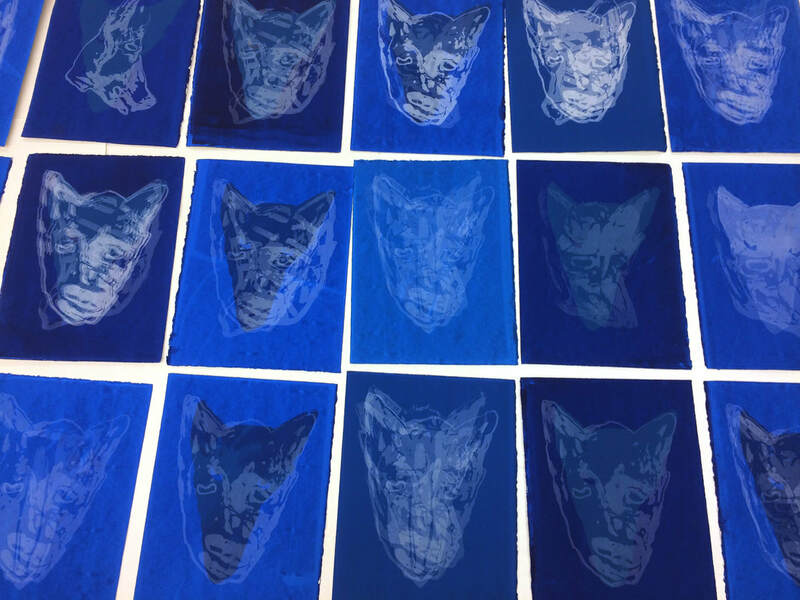 Students explore the unique serial and replicable nature of printmaking to engage with and respond to the creative process, and to work toward greater clarity of concept and extended investigation of process. We are committed to continuing the traditions of the print media while expanding their boundaries through innovation in concept and technique. The printmaking program provides the safest work environment for both students and the environment by exploring and adopting less-toxic processes and materials, without sacrificing any traditional media.Our varied coursework includes: relief, (including our annual Steamroller print project), intaglio (acrylic & traditional grounds, Image-On), water-based screen-printing, lithography (stone, plate, photo processes, waterless litho), collagraph, digital media, mixed-media printmaking, installation and the book arts.